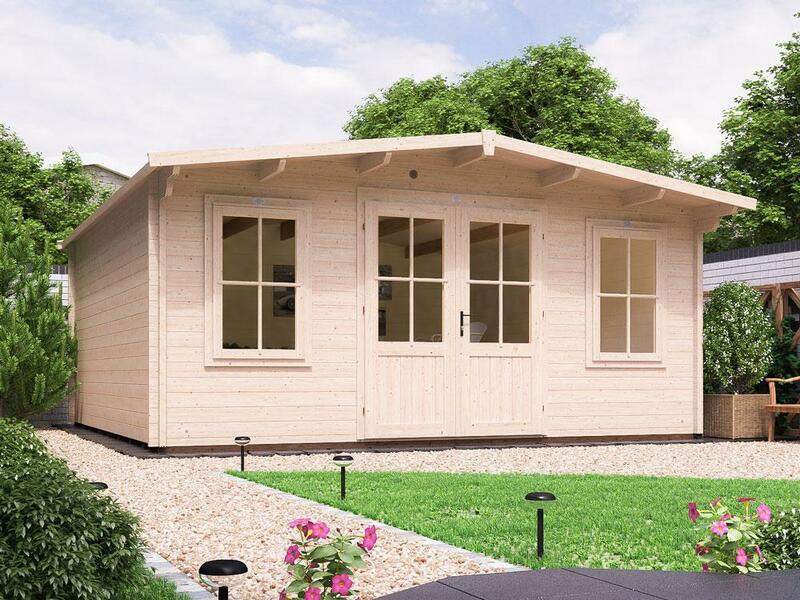 Our log cabins have a specification better than any competitor. This cabin has a secure 4-point locking system, Larger Purlins for extra roof strength, Wide Opening French Doors, and large windowswith unique Dunster House Domestic Hinges and Multi-Point Locking. Unlike competitors, our thick Tongue&Groove floors and Pressure Treated Bearers are included in the price. All this on top of the Premium Features of Spruce timber, Toughened Glass and High Eaves.